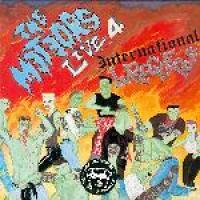 Unlike the previous live recordings released officially by the band, International Wreckers doesn’t present a complete show but a collection of songs recorded in various countries (France, Germany, UK, Holland) and at various venues. It’s a good idea and the occasion to include rarer material that appear on a live album for the first time like Swamp Thing (that is made for the stage), Alligator Man, Dateless Nite, Psycho Kat, Death Dance, Electro II next to the band’s stage favourites like Mutant Rock, These Boots Are Made Walking, Wrecking Crew or Rhythm Of the Bell featured here in a wild version. An essential addition to your collection. Released in 1988 and featuring new bassist Lee “Red” Brown (ex Pharaohs) and Coffin Nails drummer Toby Griffin, the Mutant Monkey is a bit disappointing. It’s not bad (I don’t believe the Meteors ever released anything bad) it just lacks of a little something that made of Don’t Touch The Bang Bang Fruit a killer release. 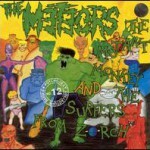 It contains its usual dose of solid Fenech’s originals (Surfing On Planet Zorch, Spine Bender, Swamp Thing, Meet Me At The Morgue) but some songs are just good (which is for a Meteors album disappointing) and the sound is uneven compared once again to Bang Bang Fruit that hardly contained a weak number and was perfectly produced. The cd version contains one bonus song, a cover of Lil’ Red Riding Hood. Good album but not essential. After the success of “Sewertime Blues” in 1986 (it reached #9 in the indie charts) Fenech came back the following year with a new line-up consisting of ex-Coffin Nails Toby Griffin on drums and Arms Malone on bass (if you look closely to the back cover of the reissue, you’ll see written in small characters “Arms Malone is Austin Stone”), and a new platter called “Don’t Touch The Bang Bang Fruit” one of their best and most diverse album to date. It starts with a total appropriation of The Stranglers “Go Buddy Go”, takes a detour by the hillbilly inspired “low Livin’ Daddy” with harmonica and ends with the Hank Marvin meets Ennio Morricone instrumental “Revenge Of El Trio Los Bastardos”. 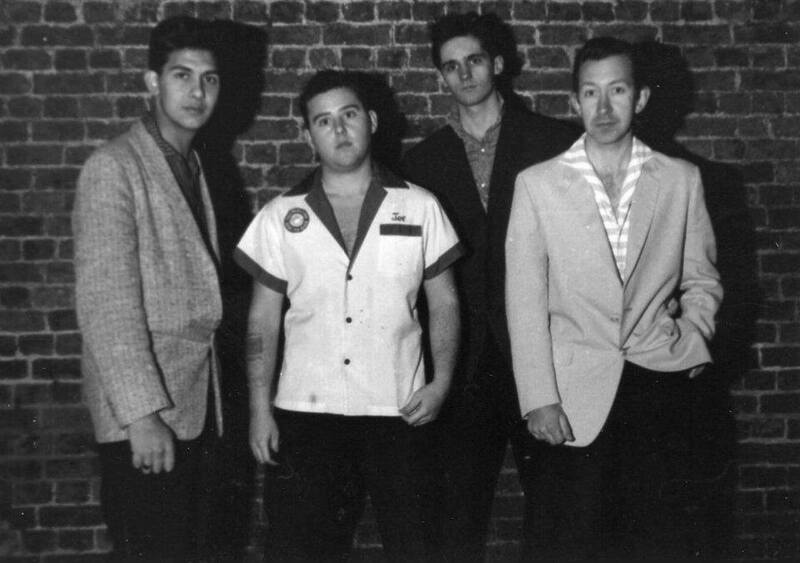 In between, Fenech, contrary to many followers, remembered the rockabilly roots of psychobilly with a cover of Jimmy Lee Maslon’s“Wildkat Ways” already sung by Nigel Lewis in the early days of the band and the frantic boogie “You Crack Me Up” previously heard on Live 1. The production is perfect, full of good ideas to set the ambiance, slide guitar, cow bell and notice the fine use of the acoustic rhythm guitar on “Let’s go” and “Revenge…”. 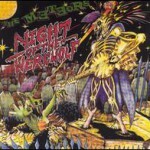 The listener goes from the haunting “Your Worst Nightmare” to the funny title track via the threatening “Repo Man” and the bluesy “Midnight People”. This reissue contains the 12” mixes of “Bang Bang Fruit” and “Go Buddy Go”, which for some obscure reasons weren’t on the Anagram Single Collection, and two B-sides : a fantastic cover of “Dateless Night” and a Fenech’s own good enough to be a A-side called “Corpse Grinder”. 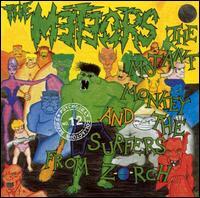 By 1987, despite the massive arrival of new bands, the Meteors were still the Kings of Psychobilly. Sewertime Blues marks the beginning of the fruitful collaboration between the psychobilly combo and Anagram/Cherry Red. 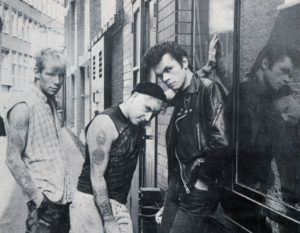 The Meteors incarnation of 1986 was newcomer Austin Stone on bass and Ian “Spider” Cubitt who previously drummed on Stampede and Monkey’s Breath. Fenech proves once again that he has a strong vision and delivers another set of solid originals completed by well selected covers (Bob Luman’s Deep Dark Jungle, Mac Self’s Vibrate and Jan & Dean’s Surf City). It’s also another proof of Fenech’s skills on guitar. One listen to his sharp solos on So Sad and Here’s Johnny to name but two shows how he has incorporated elements of rockabilly merged with surf to create his “monster”. Equally great is the instrumental “Return Of Ethel Merman” (don’t know how they got the idea for the name). Sewertime Blues reinforced the band status as the undisputed leader of the scene and made, for good reasons, a decent stint in the indie charts. X-Men Boogie ~ Rawhide ~ Maniac ~ Rock House ~ I’m Just a Dog ~ Stampede ~ Deep Dark Jungle ~ Hills Have Eyes ~ Kit Boy ~ Domino ~ Shout So Loud ~ Night of the Werewolf ~ Graveyard Stomp ~ These Boots Are Made for Walkin’ ~ It’s All Over Now. Previously released on a semi-official vinyl bootleg in the 80’s, Night Of The Werewolf has been reissued officially by Raucous in 2007. Though there’s no indication of dates, place or line-up, one can affirm by looking at the track listing that it has been recorded sometime around 1985 and the sound is quite similar to Live II released at the same period. 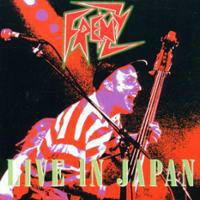 It’s heavy and compact with Fenech’s voice full of anger. They rip through the first part of the set at a pace that would make the Ramones turn red in envy. Next to the band classics you’ll find many live versions of lesser played songs of the Stampede/Monkey’s Breath albums only available here, which is a reason good enough to buy it. Twelve tracks recorded during three sessions for John Peel in 1983 (tracks 1-4 with Rick Ross on bass and Matthew Fraser on drums), 1984 (tracks 5-8 still with Rick Ross on bass and Ian Cubitt on drums and Steve Andrews on backing Vocals) and 1985 (tracks 9-12 with Nev Hunt on bass and Ian Cubitt on drums). These recordings totally differ from the album versions, some are even better. Sadly the cd has been deleted from the catalog I guess but maybe you can find a second hand copy on the net. When Nigel Lewis left the Meteors in 1982, one could fear that the band wouldn’t survive to the loss of one of its founder member. But Paul Fenech, still with Woodie Taylor on drums, far from being discouraged quickly recruited a new bass player, Mick White, switching from double bass to electric bass in the process and a guest singer, Russel Jones. White re-recorded the bass parts on some previously recorded songs by Lewis and they released Mutant Rock b/w Hills Have Eyes. This single and the Johnny Remember ep are included here as bonus. When the band went to the studio to record their second album, Taylor had already left to be replaced by Steve Meadham. Without Lewis, the band sounded less garage/psychedelic and more rockin’. 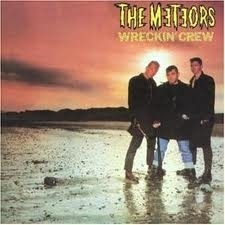 The developped what would become the psychobilly sound of the Meteors for the next decades and Wreckin’ Crew contains instant classics like Blue Sunshine, Wreckin’ Crew, I Ain’t Ready, I Don’t Worry About It and some still remains in the band’s setlist today . 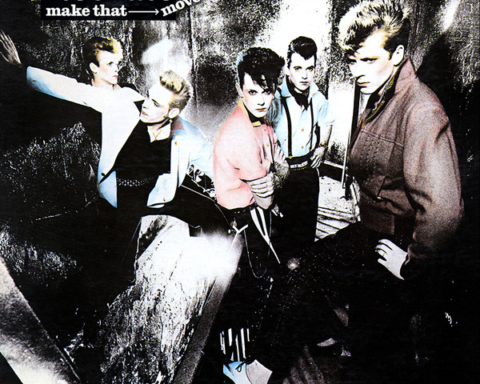 White’s contributation to the album didn’t limit to the bass duties as he penned two songs fort the album (Phantom of the Opera and Axe Attack) and two more that are included as bonus (Fear Of the Dark and Scream of the Mutants). All four of them are sung by Jones and if they don’t reach Fenech orLewis standards they remain quite enjoyable (especially Phantom of the Opera). 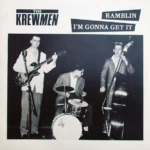 Wreckin’ Crew also includes three covers The Troggs’ Wild Thing, a new version of Get Off My Cloud (that the band had already recorded for In Heaven) and the spooky Johnny Remember Me that even found its place in the UK pop charts. Psychobilly fans and radioactive kids knew the existence of this recordings for years. Those were demos paid by EMI in 1980, when the young Meteors were looking for a contract, before Island got the deal. This is the original line-up (Fenech/Lewis/Robertson) halfway in their mutation from rockabilly to psychobilly. This ain’t no longer the clean sound one can hear on the “Alligator recordings” (My Baby Loves Me, Go Away, Crazy Love) but not yet the sound of “Meteor Madness” or “In Heaven”. 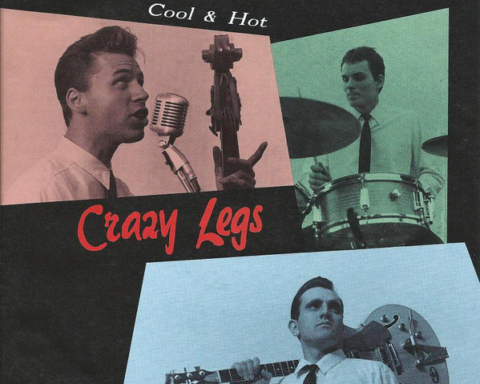 Songs like Long Blonde Hair, Domino and Red Headed Woman are true (and wild) rockabillies while you can hear the seeds of psychobilly on Meteors’ songs like Psycho For Your Love, The Room and You Can’t Keep A Good Man Down. It’s very interesting to compare this demos with the definitive version recorded on later albums and ep’s. 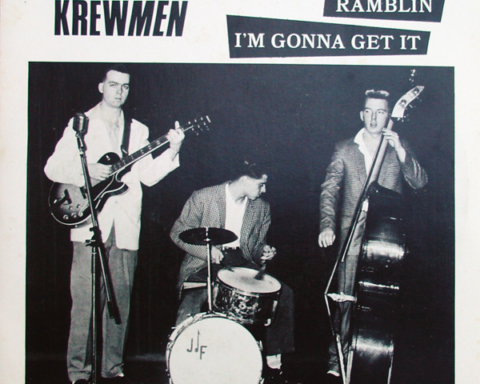 The drums are lighter here for example, but you know rockabilly will never be the same after that. “Your Wildkat Ways” and “Crazy Crazy Lovin’” sung by Lewis will resurface later on albums but this time sung by Fenech. This album gives you a chance to see what psychobilly is. 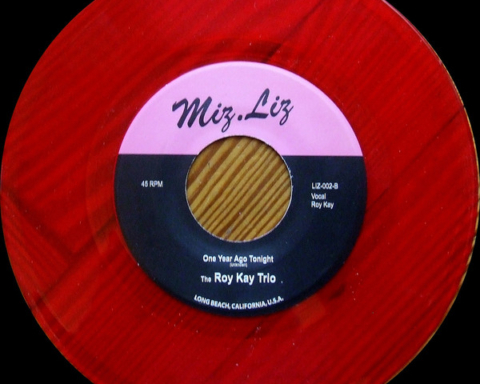 Just compare Johnny Burnette’s “Sweet Love On my Mind” on these demos to the version the band plays on “Monkey’s Breath” to understand. A great album, indeed, you even have a blues (Honey Roll). So, as you – clever reader – have already understood, this is essential listening. More than music, history. Share the post "Meteors (the)"